Image published by blogadmin	on August 7th, 2011	in post Athens: War Museum. 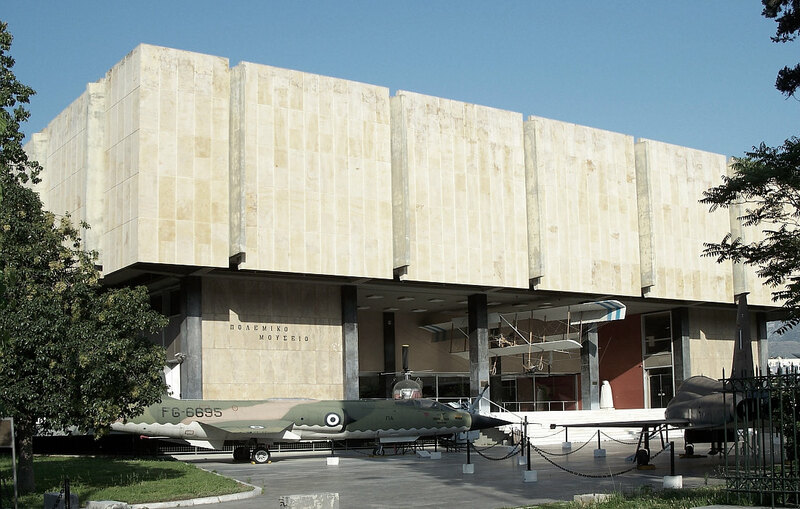 The building of the Athens War Museum was inaurated in 1975. It belongs to the most known buildings due to it’s unusual shape of a “cubistic fungus”. It was the first museum in Athens equipped with modern lecture and projection halls.